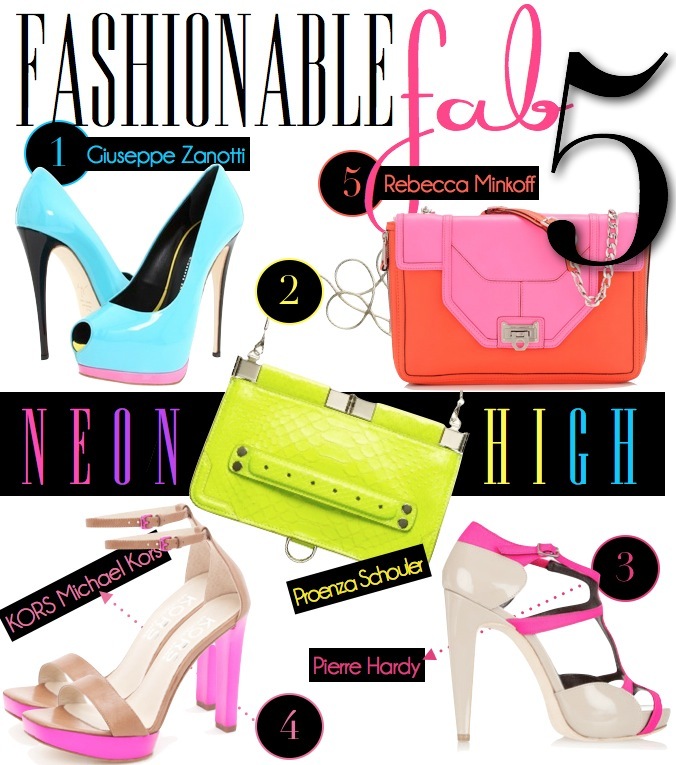 Fashion For Jo Jo: Fashionable Fab 5 Round Up "January"
I'm dying to get a Rebecca Minkoff neon handbag! I just LOVE Guiseppe!!! I can take home all these shoes, lol.